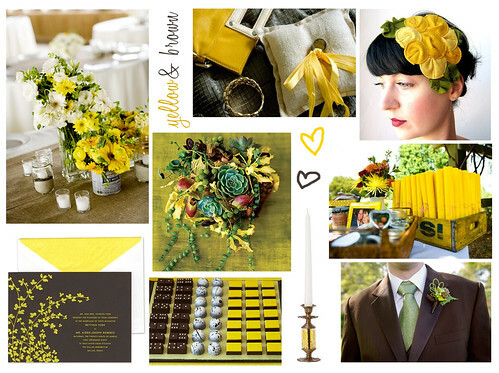 As I mentioned in yesterday's post, yellow has become a popular colour for weddings. For today's Wedding Wednesday post, Rebecca and I selected an elegant engraved yellow and brown invitation from Kate Spade. I love the retro nostalgia that brown and yellow inspire in addition to the cheerful tones yellow adds to an otherwise woodsy palate. I absolutely love Rebecca's selection for this week's Wedding Wednesday! 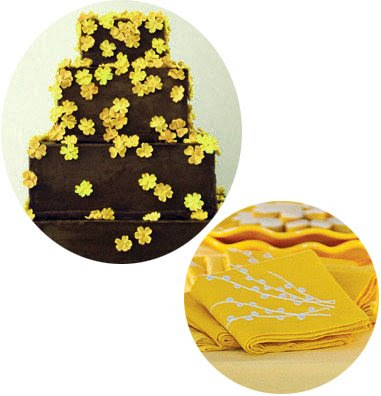 Be sure to visit her blog to see her fabulous picks - like this incredible cake!